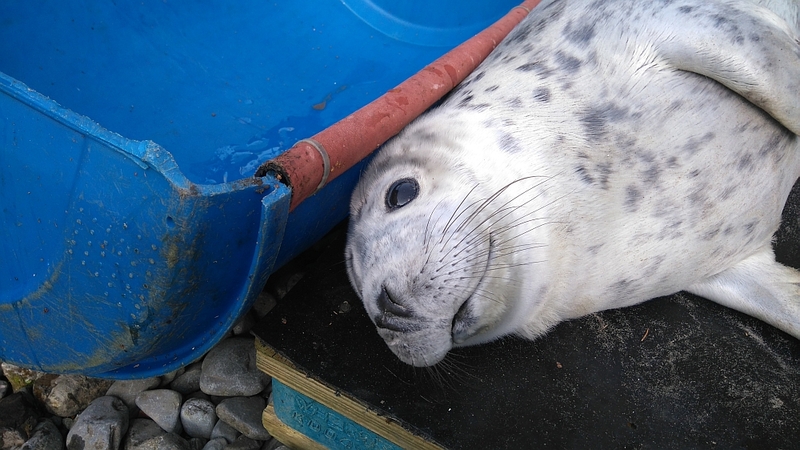 As we approach the peak of Grey Seal Breeding Season, it is timely to remind the public, breeding colonies , nursing mothers and pups require undisturbed time ashore to complete breeding cycle. The ISS is advising in a number of instances where seals have given birth, where walkers also go !! Common sense and keeping dogs away has facilitated these lone mothers. In other instances unfortunately, such as Bull Island, disturbance has been unabated and pups have died and likely some disappeared. Thanks to volunteers ( and especially Sean O’Laoire and his camera) this problem is now highlighted and protective measures to be introduced. 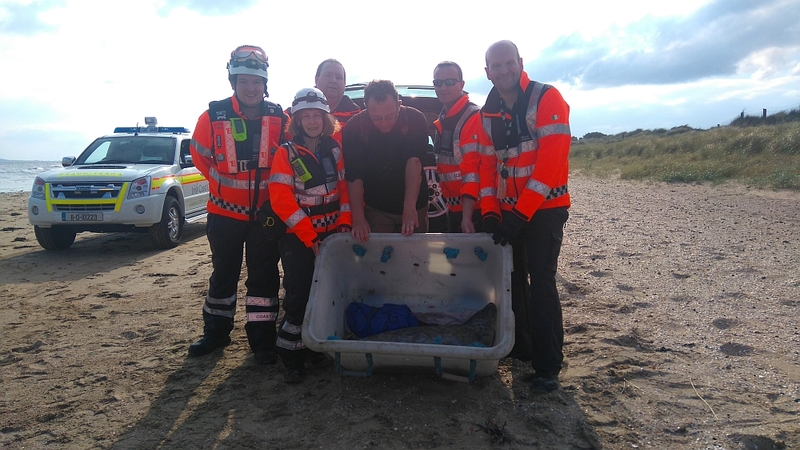 The seal pup in the photos, rescued from the surf by Wildlife Rangers and Skerries Coastguard is a well weaned pup but sadly on Donabate Strand could not recover under attentions of dogs and walkers and was removed to ISS for relocation. Traumatised, sadly it did not make it.. The pictures illustrate an animal in such peak condition, needing mainly rest and observation. 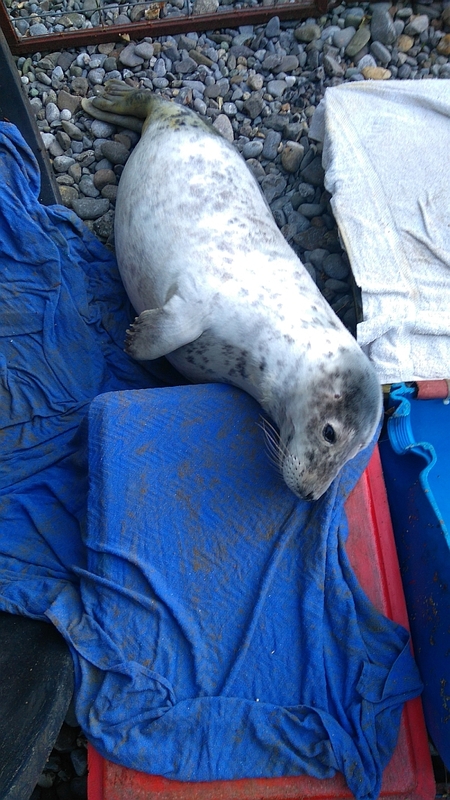 This animal would have gone to Lambay had it survived and into rehabilitation if needing further treatment. In most cases other than immediate threat or obvious poor condition, pups are best observed for a tidal cycle, where very young for appearance of a nursing mother ; or when older (c. >20kg) recovery after rest. 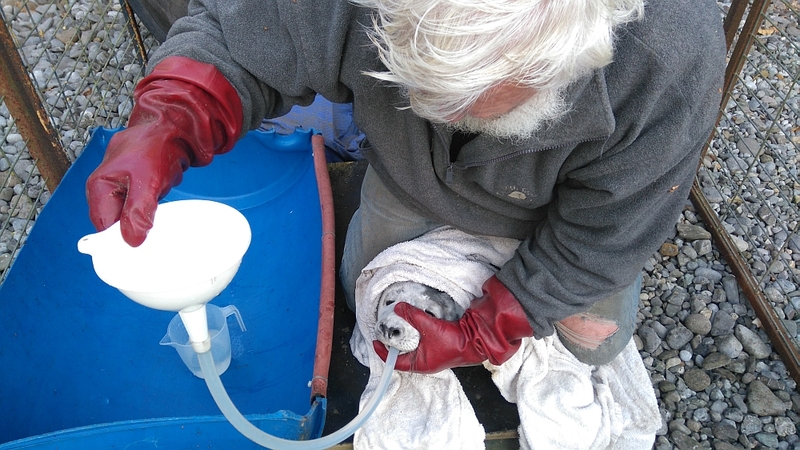 The Outreach efforts over the last two years of ISS volunteers has been responsible for recognition of resident Dublin Bay seals and contributory to appointment of ecologist and marine observers as condition for duration of Alexandra Basin Project and appointment of consultants by Dublin City Council of consultants to introduce protective measures on Bull Island. Furthermore, setting the precedent of health screening is slowly winning DCC and Wildlife service to adoption of best practice and practice of select P.Ms. Running a Dead Seal Database since 2013 for ISS it is past time this monitoring work was recognized and funded and information shared and resources pooled in interest of science, conservation, management and welfare…. Follow the storyline of the pictures and take the obvious lessons……that such a short little life of this magnificently endowed marine athlete has not been wasted!! 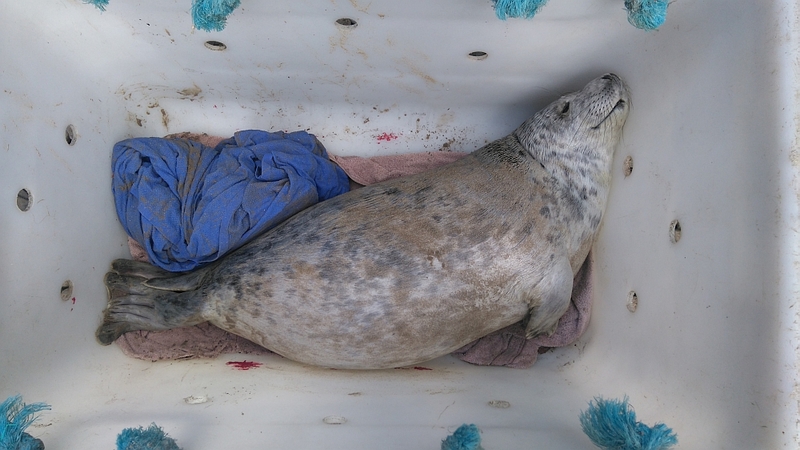 Mortality is high among grey seal pups and the added pressure and loss of safe places to beach, dogs and disturbance can make the difference to long term survival….. ISS volunteers are “eyes and ears” for seals and wildlife, share information generously and expect statutory and competent agencies and authorities to do the same…if the authorities truly value citizen science and public engagement they will supervise and support! !